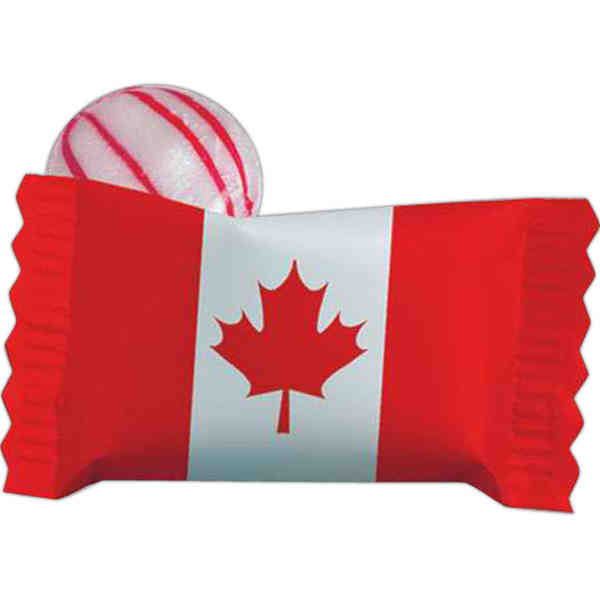 These refreshing peppermint candies are individually wrapped with the bright red and white colors of the Canadian flag on the wrapper. These patriotic non-melt products are perfect for international hotels, restaurants, conferences, tradeshow tables and much more! For safety related events, you have the option to add one of our 5 random safety messages onto the wrapper. Priced per case of 1000. Blank product.